A very Happy Women’s Day to all! In honour of this International event I would like to share with you the thoughts that formed the basis of my introduction to last week’s Honouring Woman event. Taking place almost directly after Being Woman, Honouring Woman was quite a dramatic shift in energy; going from holding a space for women to quietly and intimately explore and experience their core self, to creating a shared space where ideas, inspirations and thoughts of Woman could meet and interact and in the open. I like to think we pulled it off and that everyone who attended left with some deeper sense of the importance and beauty of Woman. But Woman is not restricted to women alone. Woman is a gift we all inherit for we are all of woman born. Whether we have a relationship with our birth mother or not we still receive the gifts of Woman through her. For we all carry within us a set of DNA – mitochondrial DNA – that passes exclusively down the maternal line and this DNA has allowed scientists to trace the lineage of every person in Europe back to just a handful of ancient women. These women are our Ancestral Mothers and we all – male or female – carry a part of them within us. So we are all entitled to know, experience and benifit from the gifts they created, cultivated and gave: the gifts of Woman. 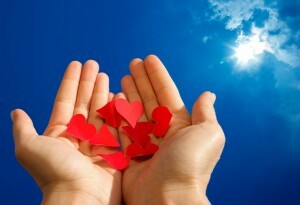 Most obviously these manifest – in both men and women – as aspects or traits of personality or Self. The ability to nurture and rear, the need to create and sustain, the joy of emotion and expression; all are essential elements of Woman and all can be cultivated by anyone who wishes to live them more fully. Woman is not all sweetness and light. She is often the parts of us that are unpredictable and unreserved; that encourage us to experience life to its fullest. She can be destructive in her drive to maintain balance and she is the root of all life itself. Woman dives deep into feeling and emotion and is not afraid to express it. Woman trusts instinct and internal wisdom as much as (if not more than) rational logic. Woman works in circles and waves avoiding straight, logical lines; flowing through life, dancing with the ebb and flow of time and mood. Woman is changeable, adaptable and always evolving. All of us will recognise aspects of Woman within us. But for many it can be difficult to trust or even access them as Woman’s ways are often discouraged in ‘modern’ society; seen as too fractious, too hysterical, too unpredictable. But by holding and cherishing these aspects alongside the masculine energy within us we might discover benefits not just for ourselves but for the World we live in too. Because Woman is an energy that inspires and empowers us to preserve and protect life. Many people will be familiar with one of the most poignant manifestations of Woman: Mother Earth. The idea of our Land being inherently female and imbued with Woman energy feels right because it is the Land that holds, grows and supports all the life upon it. From keeping seeds warm in her Winter womb, to the birthing of shoots and grains on her surface, the Earth is Mother to it all. And (as someone rightly pointed out to be at ‘Honouring Woman’) she is not adverse to a little aggression and destruction to maintain the balance and success of all her progeny (who stretch far beyond we humans). Woman is often more easily accessed through the abstract than through our self as it is rare for us to clearly see our own true facets and depths. Throughout history there have been recorded instances of the Divine Feminine; some cultures even venerating Her over and above any male deity figure. From Mother Mary to Mother Earth, across cultures and pantheons, Woman has been honoured throughout time as a vital, life-giving force with a myriad of lessons to teach us. And I am glad to note that through various movements (Intenrational Women’s day included!) and shifts in interest and perspective interest in Her is gradually returning. I would encourage anyone interested in exploring Woman energy to look at images of female divinity – Mothers, Goddesses and spiritual leaders – and consider which ones speak to you? What gifts might they offer you? What traits might they encourage you to develop and explore? This can be a reflective process; the first step to recognising how we embody Woman in our own Self (male or female!). At this time in our human existence, I believe Woman offers ideas, energies and approaches that our World desperately needs, to redress some of the imbalances that exist between all current life on the planet. If Woman’s energy and traits could take their rightful place beside the energy and traits of Man we might return balance to one another and compliment one another to ends that at the moment we can only imagine. For now let Woman be something we all embrace, celebrate and cultivate in ourselves and in our lives. I have no doubt it will bring inspiration and growth not just to the individual, but to the World as a whole. To end the evening we all took part in a little folk magic to tap into the energy of Woman that had been generated through our sharing. I asked each attendee to bring a length of ribbon and a flower/leaf/natural object. Taking the ribbon first everyone chose an aspect of Woman energy (e.g: fiercely protective or nurturing or flowing) that they felt was vital to life and concentrated on imbuing the ribbon with that trait. 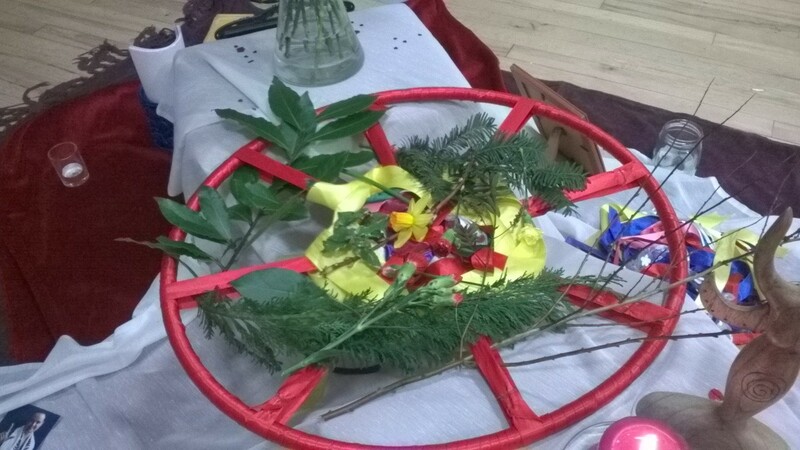 After a few moments we then wove the ribbons onto a red wheel I had created especially for the event. The result was a web of Woman energy and attributes woven strong in the centre of our circle. Then everyone was invited to take their natural object and think of a woman/group of women/manifestation of Woman that is in need of support and again imbue the object with that person/persons. 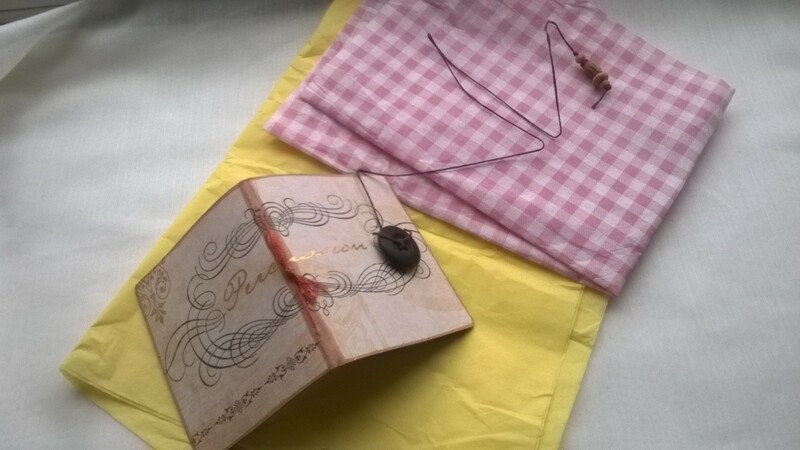 Finally these items were carefully laid onto the web where they were held and supported by the web we had woven. In the final moments when we gave prayers and blessings to the web and all it stood for I was overtaken by the power – delicate but utterly vital – that the web exuded. 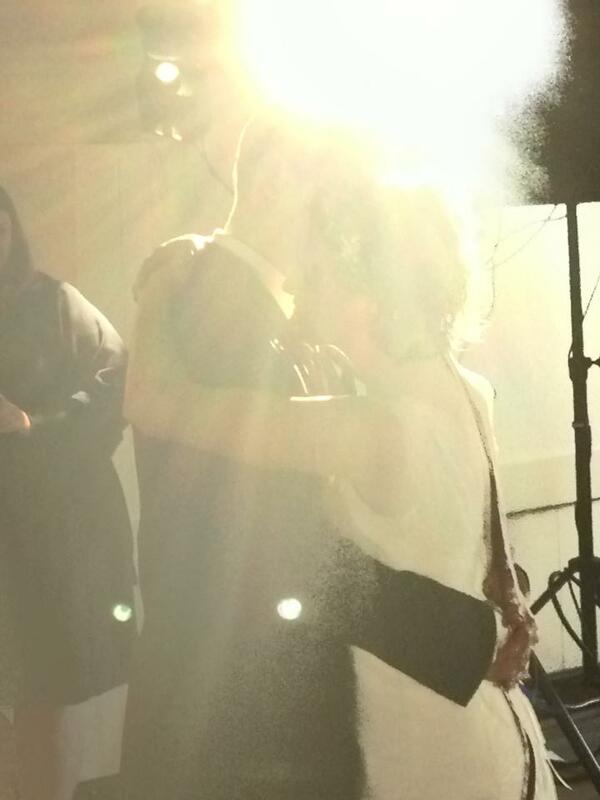 It felt sorely needed and yet also strong, steady and supportive. I hope it continues to be such a symbol – for those who attended and everyone else – on this International Women’s Day. I set myself a challenge over Yuletide just gone; to buy all my gifts from local/handmade/independent suppliers. I did surprisingly well and not only managed to hunt down some wonderful gifts but found the whole experience more pleasurable. I managed to avoid the usual cloud of guilt and frustration that comes when I spend money because I knew that my hard-won pennies were going to other hardworking creatives and not some giant corporation that is anathema to creativity, sustainability and a whole host of other things that are good in this World*! In fact, I enjoyed buying my Yuletide gifts so much this year that it has gone on to affect my approach gift buying and shopping in general. Etsy has become my new go-to-online-store, instead of Amazon. I’m getting braver when going into local independent shops and trying not to wimp out when there’s no-one else in there; instead taking the plunge, stepping through the ringing of the doorbell and having a root around, even indulging in conversations with the shopkeepers. Despite the residual nerves and the ‘I feel obliged to buy something because you’ve looked at me’ impulse, I now leave these stores with a genuine smile if not an actual purchase. I am truly grateful for this new experience. I have a new appreciation for the skills and talents made avaliable to us through other people and also for my ability to partake of them. My finances may not be 100% sturdy but I do occasionally have a few pounds to spare. Spending them well is a real treat. I’ve been blessed with two packages in the post recently; one I purchased and one I won. 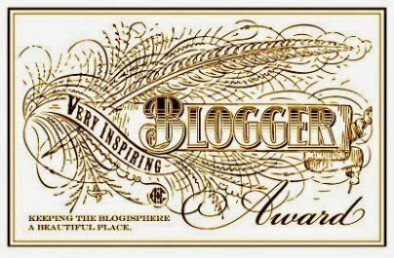 Both came from makers who I came across through the 2014 Grow Your Blog Party and neither has asked me to promote them but both truly deserve it. I won a giveaway during the party from Hettienne at Her Grace. 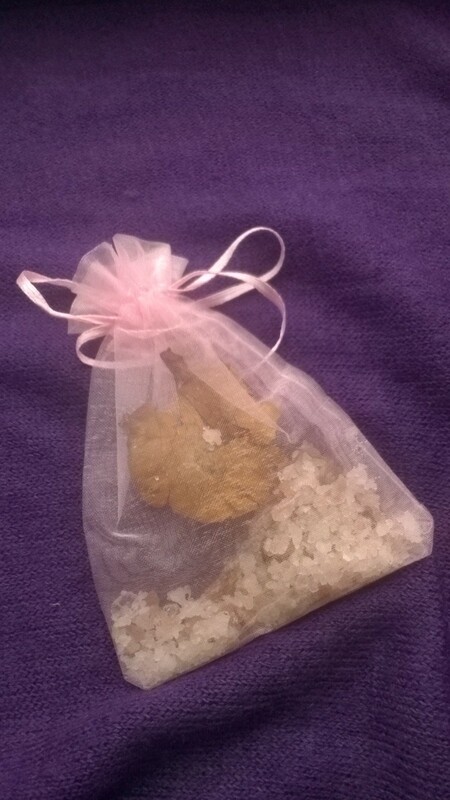 Her beautiful package arrived yesterday, smelling of incense and divinity and filled with two beautiful organza bags. 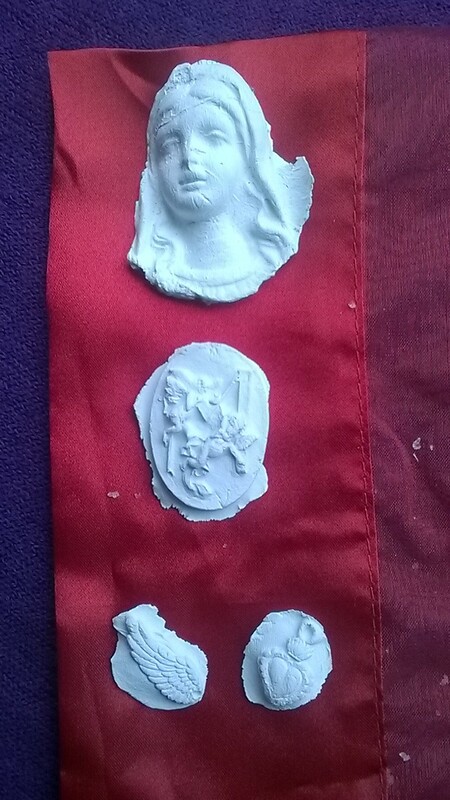 In the first was some blessed salts and dried rose petals ‘that were touched to the St Teresa roses’. 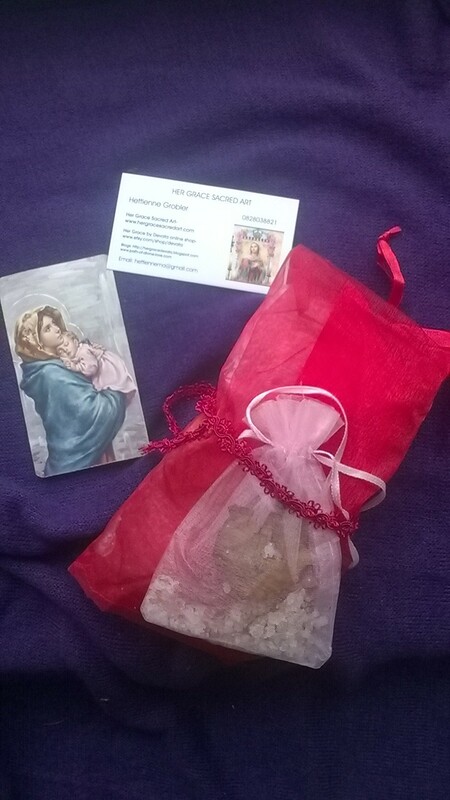 In the second, larger bag was more petals and salts and a carefully wrapped collection of Mary Blessing Seeds.These are intended to be buried in the earth full of prayers, wishes and good intentions. 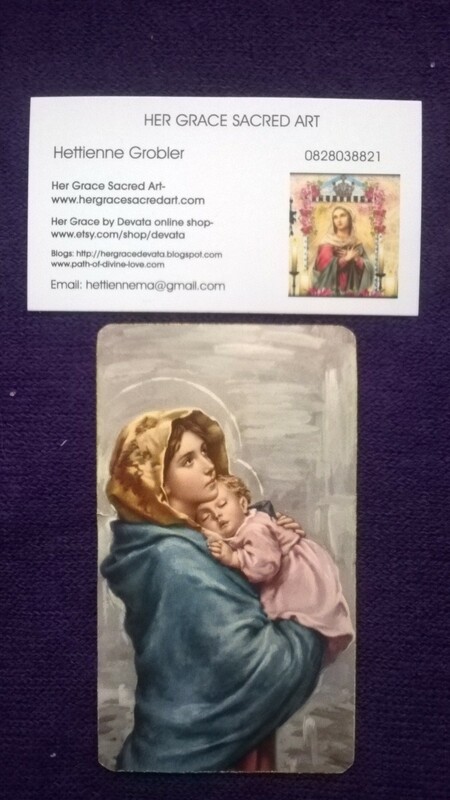 A truly wonderful gift that I feel blessed to have received. I am looking forward to using them. Thank you Hettienne! 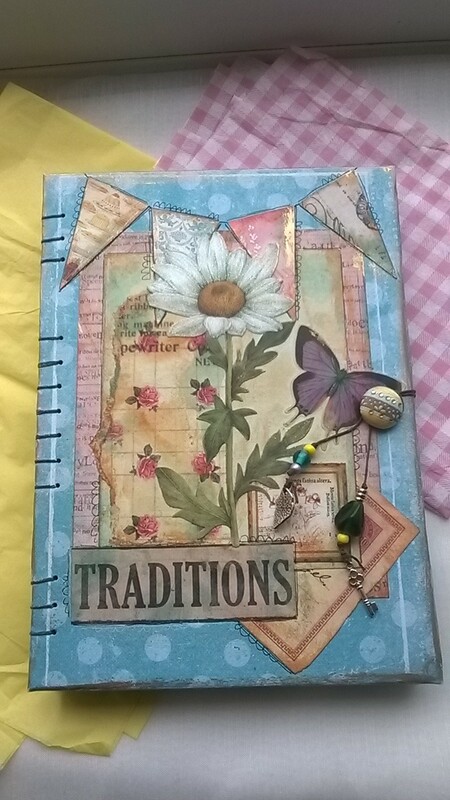 I am undertaking a new adventure this weekend, going away to learn about ceremony and working as a celebrant and I needed a notebook to journal the process and record my experiences. I had thought to use something quite plain and simple, then I saw this and knew it was the one. 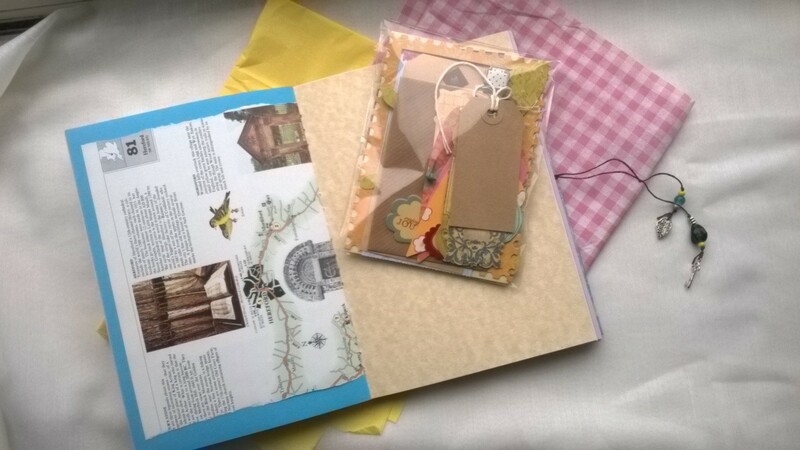 When it arrived it was beautifully wrapped in plenty of padding, as well as the cheerful pink and yellow papers you can see. I could immediately sense the care and concern that had gone into preparing and sending this item; it felt like Shroo was there, giving my hand a squeeze saying ‘Thank you’ and ‘Your Welcome’ and ‘Enjoy’. 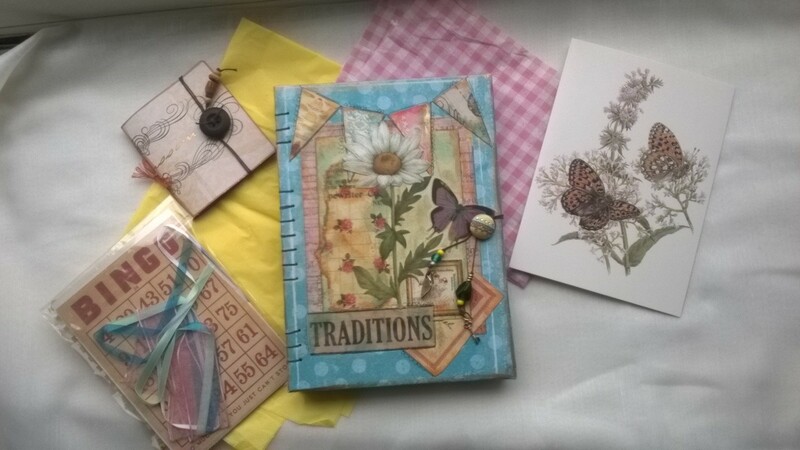 After carefully unwrapping I not only found my beautiful notebook safe inside but also a small extra notelet book and some exciting bits and pieces that I can use in my journalling. And finally a card sending me wishes from Shroo herself. The care and attention to detail that obviously went into both the product and the delivery are staggering and I am truly grateful to Shroo for her talent and my purchase. She helped me realise that shopping – even online shopping! 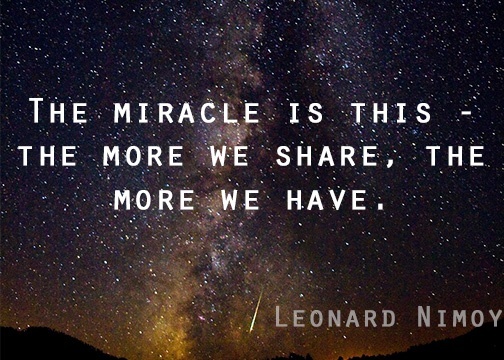 – can still involve connection, sharing and care. 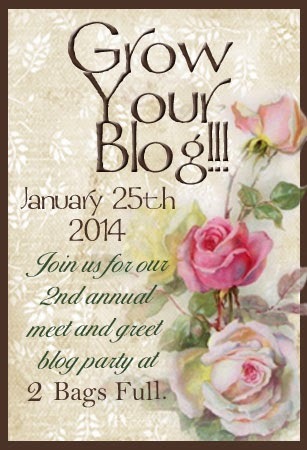 If you’re looking for my Grow Your Blog post for 2014 go here! As we approach the end of the month and step into the New Lunar Year I am filled with a rather unexpected feeling: Hope. Imbolc is approaching and life is opening itself to new beginnings all over the place so it might seem ridiculous that hope should be unexpected, but recently has been as elusive as a cool spring of water in the driest of deserts. I delved deep into the darkness of Winter over recent weeks. It wasn’t always poignant or meaningful, a lot of the time it was scary, unpleasant and deeply unsettling, and it was difficult to imagine anything beginning or feeling hopeful whilst I was there. 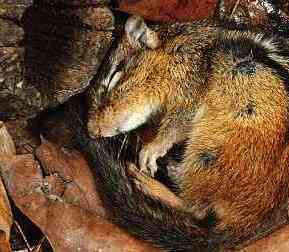 But it also gave me the one thing I’d been craving, that gift which the season offers but so few choose to take: Rest. Taking a rest was almost a challenge, especially as a lot of it was spent alone and without distraction. I struggle to keep my mind focused on the present when I’m alone and this can lead to worry or fear creeping in, which are not restful in the slightest. But through perseverance and hard-won acceptance I discovered that I was able to trust my Self to want and do the right things, the things that my body and soul needed to rest and heal. Sometimes those things were quiet and solitary – lots of long walks and spots of meditation – others were more vigorous – writing stories and planning events (more on that to follow in future posts!). All came together to weave a soul-bed in which I could allow my self to rest and ponder and dream; the kind of space that Winter holds so well. And not only did I benefit from it with a renewed energy supply and new ideas, I also felt more in tune with the World than I have in quite a while. 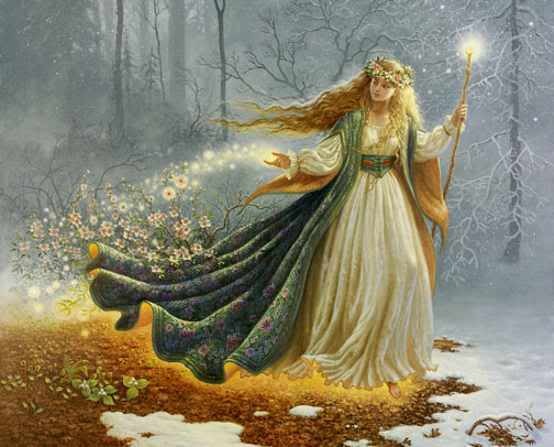 So now, on Imbolc Eve, I can truly feel the first stirrings of Hope and Inspiration that the Goddess Brighid comes to bless us with. 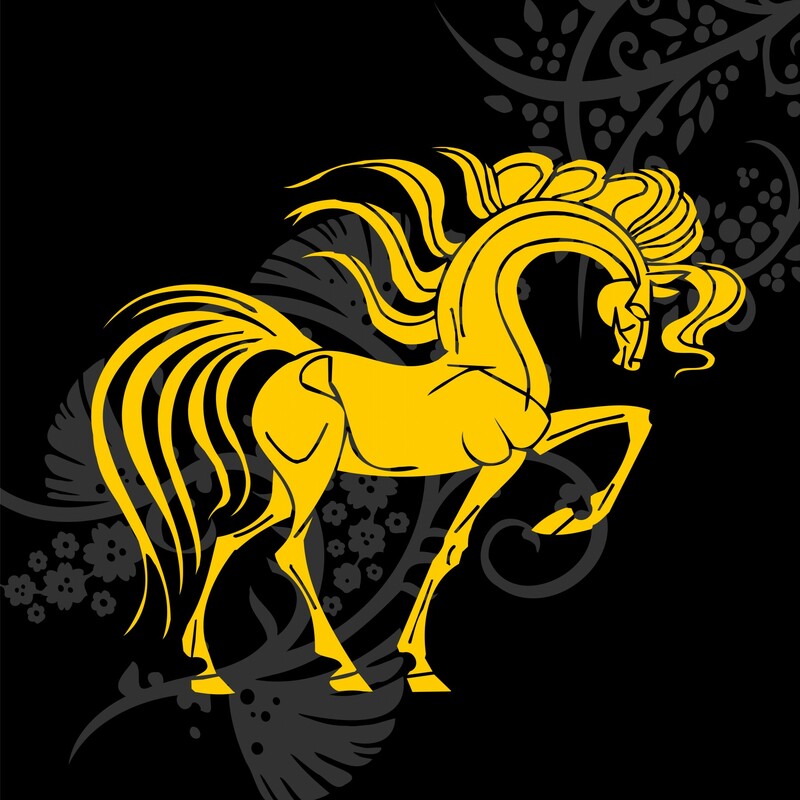 I am also aware of a New Moon shining tonight; the beginning of a beginning as it marks the start of a New Lunar Year, which the Chinese are calling the Year Of The Horse. I am hopeful that all these auspicious signs are weaving together with the land itself, as it starts to wake from its Winter slumber, to urge me (and all of us) into new beginnings and new opportunities of our own. Having woken from my brief hibernation I can promise a round of new posts in the coming days and weeks. 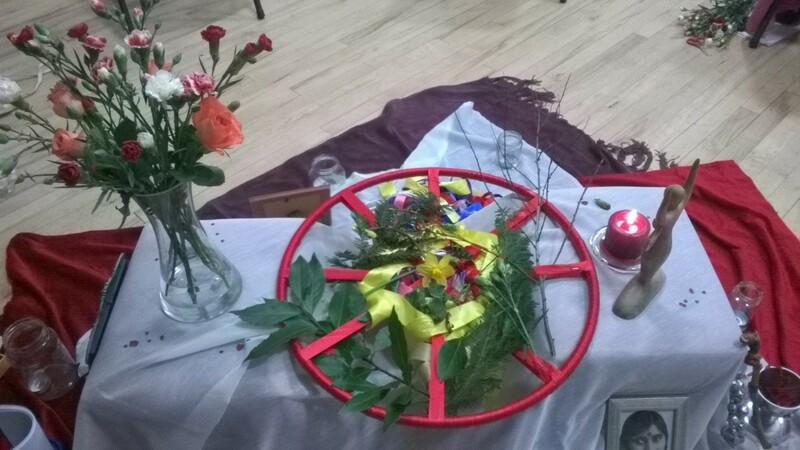 Look out for an Imbolc Musing, an update on some new real-world events, the final collection of my January Small Stones and some in-depth looks into Walk the Wheel – how it works and why. Morning tea in a pretty china cup. Warmth to soothe, colour of eggshell. And the promise of a tickling buzz that will clear this sleep-full head. The moss has hairs, which stand as tall as trees on their own tiny mountainside. A promise of brighter things to come. More small stones can be found and enjoyed at Writing Our Way Home and over on my hubby’s blog Outside Life. By this hand that is lost for words. Pretty primroses scatter the border; they’ve sat all through the winter (so far). Still stretching their bright button faces to the sky. The scent of rain fills me, soothes my soul with its cool acceptance. Pain is universal, we are not the only species to feel its touch. Where I pause for breath and hear it echoed by those who live within. Smoke caught in shadowed candlelight. Flickers like fairy wings, dancing round the flame. A glimpse of elemental magic in action. Frozen in a moment of curled, orange beauty. Plenty more small stone offerings can be found at the official blog for the January 2014 Mindful Writing Challenge here. As part of January’s 2014 Mindful Writing Challenge (organised by the lovely folk at Writing Our Way Home) I am aiming to write a small stone every day. “1. Notice something properly every day during January. The resulting small stone does not have to have a set style/format or a certain number of words of syllables; but they do tend to be short and sweet. I am sharing them here in the hope that they might inspire others to make some small stones of their own, and to give you a glimpse into the world as I see it each day. I missed the start by a couple of days so no small stones I’m afraid! Spread thick and shimmying at speed across the sky. I will share these snippets in ‘week long’ collections, so pop back next Sunday for the next installment. And please feel free to share your own in the comments. 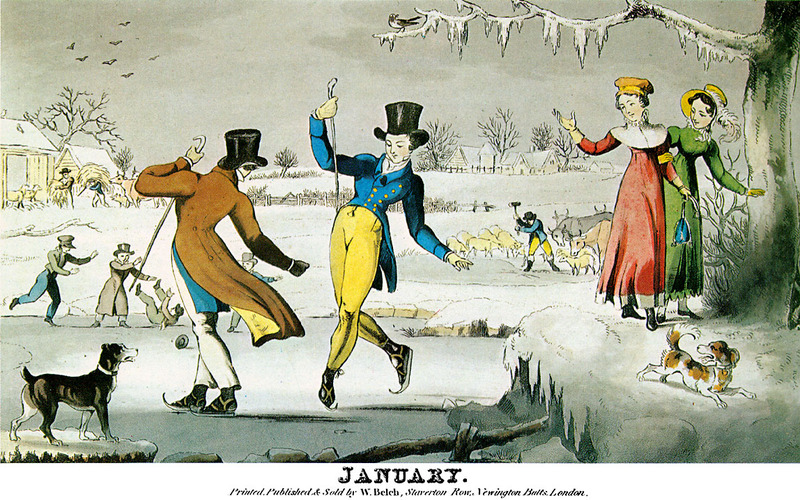 Here’s to a bright and inspiring January for us all! I’m sitting here, staring out of my brightly lit concrete box (aka. the office) at a cool, blue sky. The night is drawing in fast and a procession of dark clouds are marching along the horizon. And perched just above them – like a mascot of sorts – is the New Moon; brand new in fact as the Dark Moon or no Moon* was only yesterday. It’s not often I get a glimpse of the New Moon so soon after the Dark, but when I do it always steals my breath with its beauty. Such a thin sliver of light is carved out of the sky and it always brings to mind the sharpness of steel and the sound of ringing metal. The curve is more pronounced than usual; for that is all it really is, a delicate shining curve that grows brighter and stronger as all around succumbs to darkness. This New Moon gives just enough to satisfy the need for light and beauty without being excessive or overwhelming (as the Full Moon can be). Its flavour isn’t rich, it is tart and tempting. It offers a tantalising glimpse of the richness and fullness ahead, in the months to come, if we commit to looking for it. It is a delicate spark that can fire the heart to feel great love, great awe and great joy if we are willing to tend the flame. In our world, we are often encouraged to be ‘more’. To try harder, to do better, to surpass expectations and to give more of ourselves than is asked. For creative people it is considered gospel that in order to be worth noticing we have to bear ourselves, fully and without reservation; we must be open to anything and everything, all the time. The people who do so are the ones most likely to succeed, to be chosen or praised, the ones who will shine. I’m wondering tonight if the New Moon might have a different message for us: that, actually, as long as we are being true to ourselves and our nature we don’t always have to strive to be more than we already are. Sometimes – particularly on cold, dark nights – it is plenty to offer just a slice of ourselves and to keep the rest hidden in darkness, for another time perhaps, or simply for our own pleasure. And that slice will be just as beautiful, will shine just as brightly as any other. Because sometimes it’s okay to be just enough. * The term Dark Moon refers to the time when no Moon can be seen in the sky, a period that might last anything from 1-3 days. Although lunar calendars often only include three stages in the Moon’s cycle – Waxing, Waning and New, with New encompassing both the time of no Moon and the first sighting of the new crescent – it has become popular in some circles to refer to the Dark Moon as its own phase, leaving the term New Moon to refer to the new crescent only. See this short page for more.